Climate change is a vital environmental issue affecting nature and distribution of biodiversity. As the economy of developing countries depends primarily upon climate-sensitive sectors such as agriculture, fisheries and forestry, a holistic analysis of climate change and its implications on biodiversity is warranted in order to achieve sustainable development. 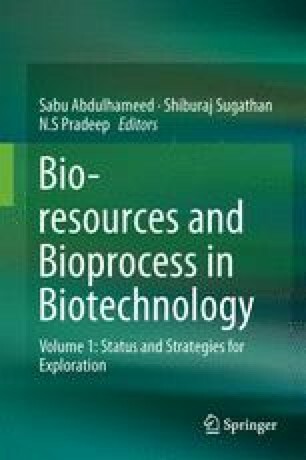 The impacts of climate change on critical ecosystems and livelihood activities and on insert biological resources, especially those that are vulnerable due to other prevailing anthropogenic interventions, are discussed in the chapter. The strategies to reduce climate change impacts, including adaptation and mitigation measures, which integrate ecosystem approach into broader cross-sectoral policies as a compliment to structural and technological measures, would ultimately help achieving the targets set for biodiversity conservation. The ecosystem approach of the Convention on Biological Diversity provides a flexible management framework to address climate change mitigation and adaptation activities in a broad perspective and can help to balance ecological, economic and social considerations in projects, programmes and policies related to climate change mitigation and adaptation. The research options on the appropriate mitigation and adaptation strategies so as to manage the rich biodiversity and to specifically address the impacts of climate change on species and ecosystems coupled with the need to integrate biodiversity into developmental plans and policies are discussed.